A Hungarian animator and a Finish composer, Eszter and Mikael, together create short animation videos that reflect the city where they are living in. 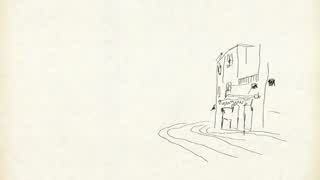 The Lisbon Sketches is an experimental art project about connecting drawing, animation and music. The Lisbon sketches are ideas, moods, impressions of two foreigners about Lisbon. Our working method is to catch places, faces, random moments of Lisbon which are describing the city in a sensitive and intime way leaving out the stereotypical and touristic point of view. At the same time, we are still foreigners so the Lisbon Sketches is more about the process how we discover a city from the main attractions till the small details of life. We are collecting moods and ideas connecting to a place what we see, and make a fast drawed sketch or a short music about the impression. Depending who brings the idea the other’s role is to relfect with drawing or music. At the end, we put together the two parts, and animate the picture - that’s how we get supershort films, basically animated pictures with music ideas.